Thank-you to all who joined us for the Girls' Night In 2018, we raised $710 :) and a big shout out to those who helped, Corrie and Shane on bar duty and Kim, John & Linda in the kitchen you were wonderful! we hope to see you all again next year! As our winter special draws to a close for this year, why not take advantage of one of the last weekends left and also help with a wonderful fundraising event for a fantastic cause. Get a group of your girlfriends together and join me for my Girls' Night In at the Otways Tourists Park Bistro between 6-8pm where food and drink will be served and fun will be had, we will be waited on by our Manager Shane and Park Owner Corrie. Or you can donate online to help me reach my fundraising goal! Let’s have a great time together and help Cancer Council raise funds to support vital cancer research, prevention and support services. Donations will make a big difference for women affected by breast and gynaecological cancers across Australia. Come for the event only, or book a cabin for the winter special and make a weekend of it! By popular demand, Otways Tourist Park again hosted the 5th Annual Blues & Blueberry Festival on the 27th of February 2016, The Market Day took place on the 28th. What a weekend we had. A big thank you to everybody who came, the bands which were absolutely fantastic, Hamish and Kelly from the Otway Estate Winery for helping everyone stay hydrated, Kim and the girls from the Otways Tourist Parks Bistro for the great food, and everyone that helped make this years festival such a success. Keep an eye out on the Blues & Blueberry Web Site and Facebook Page for details of next years festival. Why not plan to make a weekend of it next year? Book your accommodation at the Otways Tourist Park, get in early! By popular demand, Otways Tourist Park will again host the 5th Annual Blues & Blueberry Festival on the 27th of February 2016, from 12.00 noon to 8.00 pm. 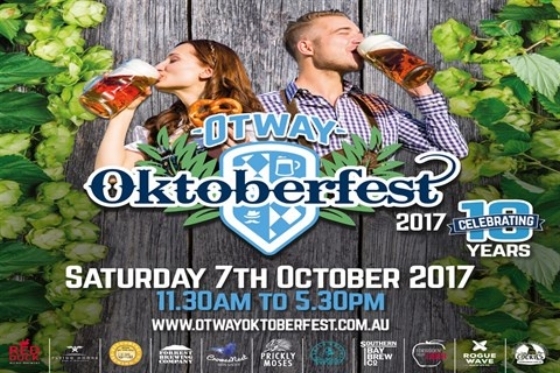 Again, there will be a great music line-up as well as the Otway Estate Winery & Brewery mobile bar, food stalls and hot and cold beverages. For those people who have attended before, we can guarantee another memorable day and for those first timers, we look forward to having you here to experience a great day. Keep an eye out on the Blues & Blueberry Web Site and Facebook Page for upcoming event details. Why not make a weekend of it? Book your accommodation at the Otways Tourist Park, get in early!